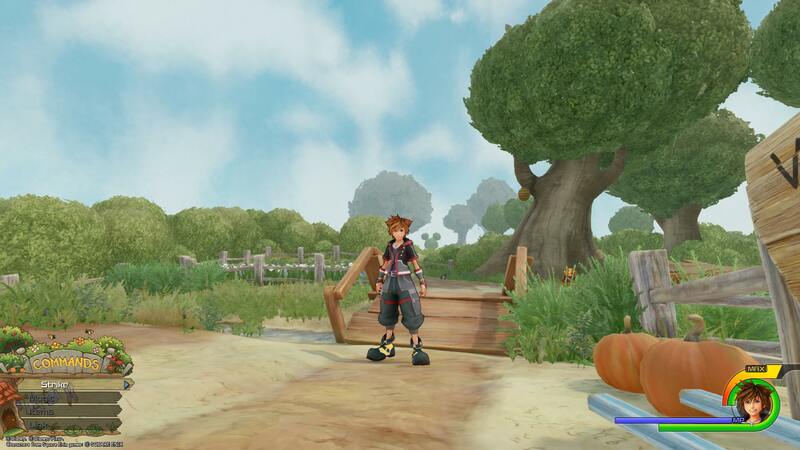 As you journey through Kingdom Hearts 3, you’ll make a quick pit stop to visit Winnie the Pooh, Piglet, and friends in the 100 Acre Wood. There are only three Lucky Emblems (hidden Mickeys) to photograph in the 100 Acre Wood, and our guide will help you find them in a flash. 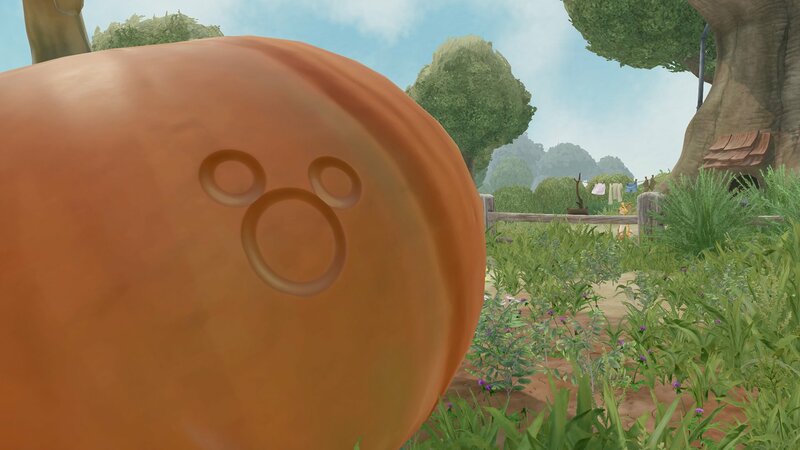 Check out the video guide below to see where the three Lucky Emblems are located in the 100 Acre Wood, or keep reading to see a picture and text description related to finding each one. From the 100 Acre Wood save spot, run across the bridge near Pooh and turn around. You’ll spot the first Lucky Emblem made out of a tree in the distance. 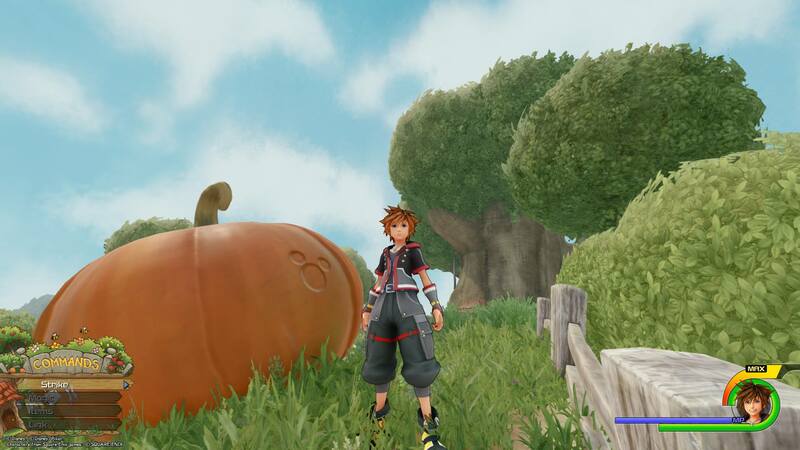 After photographing the first Lucky Emblem, turn around and run to the right side of the giant pumpkin next to the path. The Lucky Emblem is on the side of the pumpkin. From Lucky Emblem No. 2, run over to the clothesline to the left of Rabbit’s house. 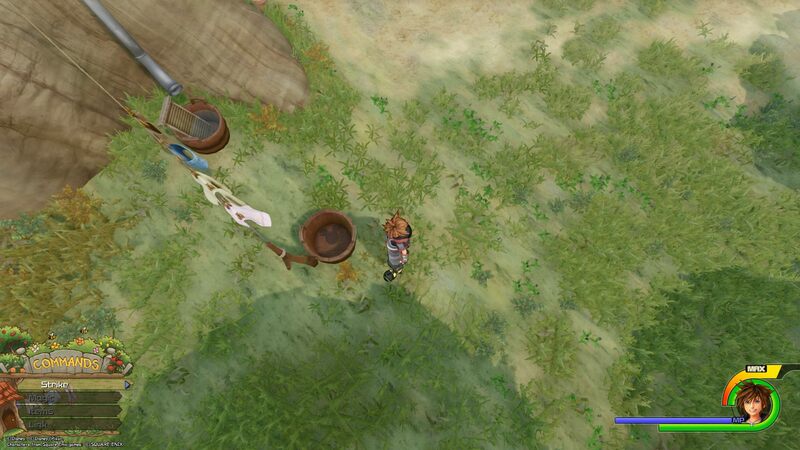 Look inside the bucket next to the clothesline pole, and you’ll spot the final Lucky Emblem on the bottom of the bucket.